You know it this is the day most people grill out and have cookouts so you know there are no exceptions at my house! 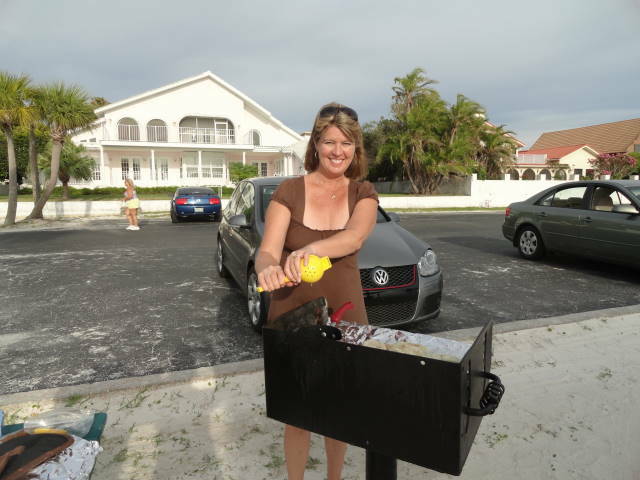 Of course I’m grilling fish at the beach with friends and family! Change it up this year and grill fish with a lemon & herbs sauce serve with Shrimp & egg salad avocadoes and other good fixing. 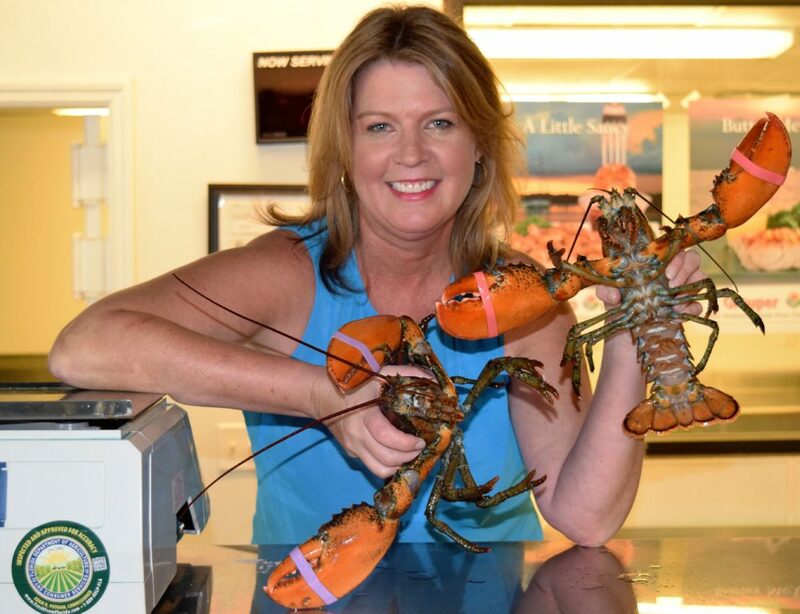 Here are a few of my Off the Hook recipes for Memorial Day! Enjoy! Coat fish with olive oil and season with sea salt on both sides. 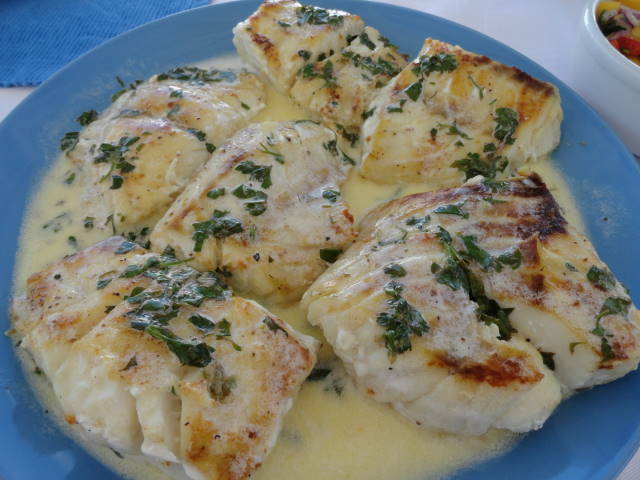 Place fish on a hot grill and grill until edge of the fish turns white approximately 6 minutes turn and cook an additional 4 minutes or until fish easily flakes with a fork. In a small sauce pan on side burner of grill add butter and herbs when butter is melted add lemon juice, half & half whisk and bring to a boil. Remove from heat plate fish and pour sauce over fish. Serve immediately! 2 tablespoons fresh cilantro chopped fine. Cut avocadoes in half remove pit and skin. Cut a thin slice at the bottom of each avocado halves so they sit flat on a plate. Sprinkle 1 tablespoon of lemon over avocadoes to prevent from turning brown. On stove top in a small pot of water seasoned with 1 teaspoon old bay seasoning add shrimp bring to a boil and cook shrimp just until they turn pink and start to curl. Drain and let cool completely. In a small bowl mash the thin slices of avocado you previously cut off the bottom. Add remaining lemon, hardboiled egg, mayonnaise, green onions, celery, shrimp, guacamole seasoning mix and a pinch of sea salt & cracked black pepper and mix well. 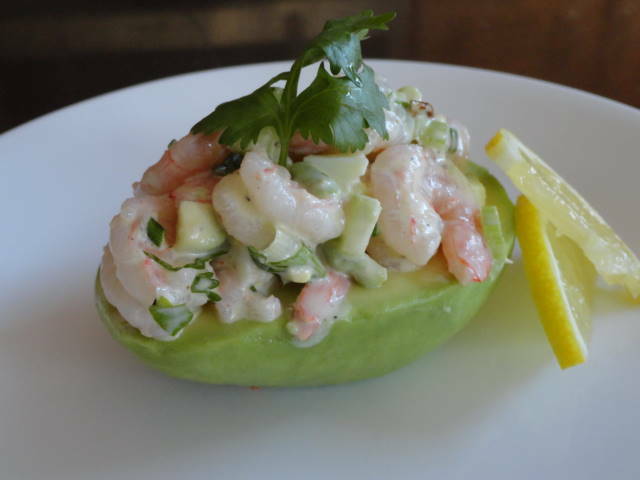 Take shrimp mixture and fill each avocado. This entry was posted in Uncategorized by Josee Lanzi. Bookmark the permalink. Your recipes look amazing and so do you! Awesome job! Wonderful recipes chickie!! Happy Memorial Day! Thanks you Donna give it a try. Hope you had a nice memorial day! Oh that Avacado/Shrimp recipe sounds DELISH!! It’s all on my list for the next trip to the grocery! Thanks Josee!! Keep up the good work! Hello to Brent & Happy Memorial Day! Thanks Rebecca let me know what you think about the recipe! Hope you had a nice Holiday weekend say hi to Dennis! Hello,I check your new stuff named “It’s Memorial Day enjoy the grilling and your family and friends from Off the Hook on the Plate | Off the Hook on the Plate” regularly.Your story-telling style is witty, keep up the good work! And you can look our website about proxy server list.